I was pondering what to write about and I decided to make a quick and simple drizzle for soy or coconut milk ice cream. I was recently at the beach with vegansweetpotato and we had an ice cream night. She wanted toppings for her ice cream and I told her that I would make her a chocolate drizzle since my family only had milk chocolate. The recipe is simple and it only takes less than 4 minutes to make. I have made this twice and on the first go around I used soy milk. The second time I upgraded to a fantastic vanilla almond milk that I found at my local grocery store. 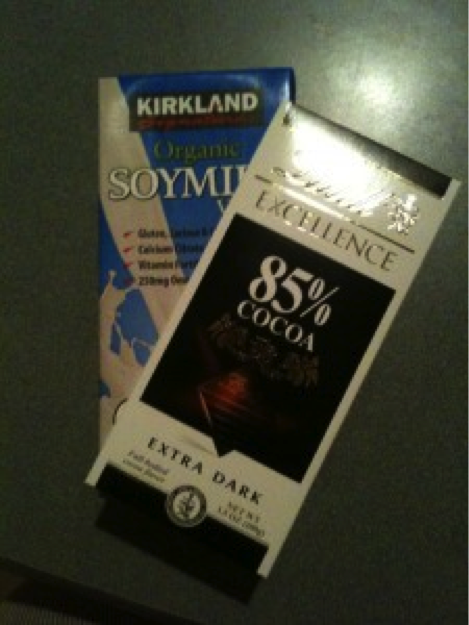 Both times I used the Lindt 85% Dark Cocoa, however, they do make other varieties that would be tasty! 2) Add about 1/3 to 1/2 cup of milk in the bowl and microwave for approximately 30 seconds. Almost there..... maybe a bit more elbow power and a hint of almond milk! 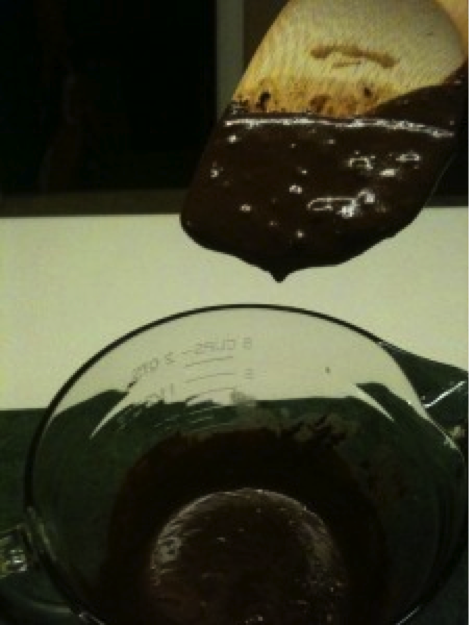 3) Stir your drizzle and add a little more soy or almond milk. Then re-heat. I like to repeat this step a few times until I get it just right. The trick here is to get a medium thick consistency and eyeing out the milk and adding small amounts at a time will help ensure that your result is the right consistency. Tip: Dark chocolate can be bitter for a lot of people so feel free to sweeten this baby up with a little sugar! This is such an easy way to enjoy your favorite night time snack… ice cream!